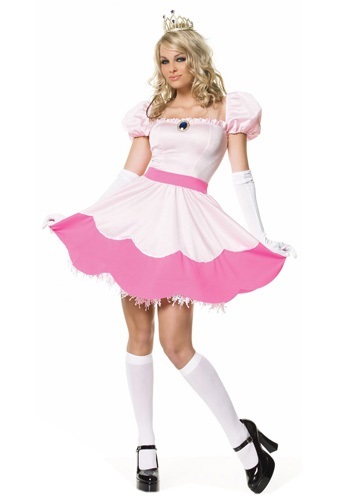 Adult Costumes – This Deluxe Princess Peach Adult Costume features the beautiful pink dress with attached amulet, petticoat, and the crown headband. A great fun Super Mario Bros Costume!. We have a wide selection of Princess Costumes,Super Mario Bros. Costumes,Video Game Costumes.